Check out the response by the Seoul division! Check out the response by the Beijing division! Nine countries currently control at least 15,000 nuclear weapons. During the Cold War, the superpowers amassed nuclear arsenals containing the explosive power of one million “Little Boys”, the atomic bomb dropped on Hiroshima. More than two decades after the fall of the Berlin Wall, the US and Russia still control almost 14,000 nuclear weapons. One Hiroshima-size weapon alone, detonated in London’s Trafalgar Square in the middle of a workday, would cause an estimated 115,000 fatalities and 149,000 injuries. A regional nuclear war between Pakistan and India could lead to 20 million local casualties and more than one billion global fatalities from the direct impact on the world’s atmosphere and agricultural supply. Faced with this global crisis, we applaud the willingness of the delegations gathered here to engage with each other to seek resolution and to help ensure a lasting peace, perhaps even a nuclear-free world. Our discussions for this conference have been divided into seven major topics: Sovereignty, Security, Diplomacy, Terrorism, Economics, Climate and Energy, and Disaster Preparedness. Just this year, the Bulletin of Atomic Scientists – the keeper of the Doomsday Clock – moved the clock to two to midnight, its highest level since the height of the Cold War in 1953. 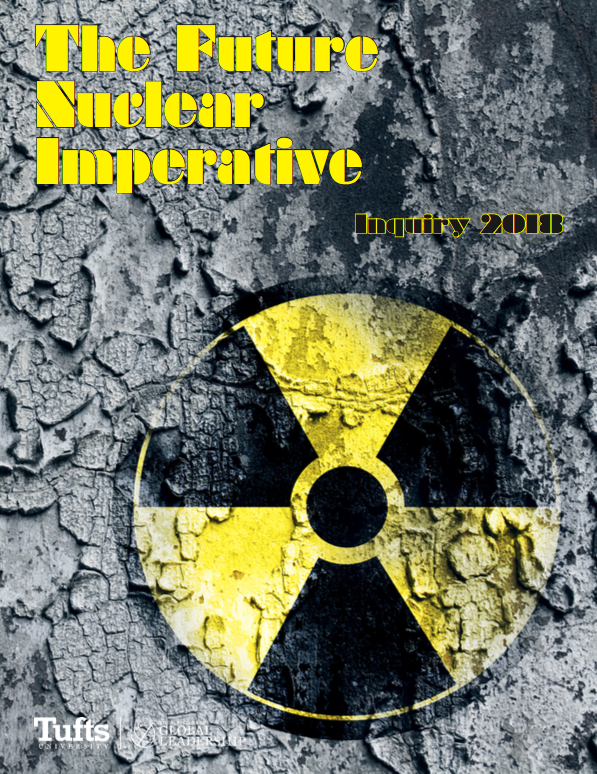 The escalation of rhetoric and the access to both nuclear technology and delivery mechanisms are responsible for this renewed urgency and concern. During his presidential campaign, Donald Trump indicated he was in favor of the nuclear proliferation of Japan, South Korea and Saudi Arabia. This position is in stark contrast to the terms of the Nuclear Non-Proliferation Treaty (NPT), a treaty the US has supported for almost fifty years. Posing another threat to nuclear security are noon-state actors and international terrorist organizations. Suleiman Abu Gheith, an Al-Qaeda spokesman, has repeatedly issued threats to kill millions of Americans with a nuclear device. Bomb-making manuals have been recovered from Al-Qaeda safe houses in Kabul. There is also the threat of terrorist organizations procuring a ‘dirty bomb’ from ‘rogue’ states. How should the global community, especially nuclear states, approach this threat that challenges sovereignty and borders? Are the theories of Deterrence and Mutually Assured Destruction (MAD) still relevant in the multipolar world of the 21st century? Were they responsible for the lack of conventional warfare between the nuclear powers since the end of the second world war? Commentators argue that these theories are becoming less relevant in the new liberal age of information and worldwide interconnectedness. What might take their place? And what challenges do unilateral disarmament pose for states? While South Africa may not have endured any repercussions from its de-nuclearization, can the same be said for Libya and Ukraine? The threat nuclear weapons pose is not limited to human casualties stemming directly from an attack. Even an unintentional nuclear accident would be disastrous for the Earth’s climate, spiking radiation levels and sending tons of smoke into an already fragile atmosphere. Does the pursuit of nuclear energy contribute to our challenges or reduce the pressure on our environment? Finally, we urge delegates to think about the role of nuclear weapons and nuclear energy going forward. Will nation-states pursue nuclear weapons with the same vigor and resolve as we have seen over the past seventy years? Is it possible to de-nuclearize the planet, and what type of trust-building measures would that entail? Is this a global problem or a state-centric problem? We are asking you to revisit the NPT, to develop an approach and treaty suitable for the challenges the world now faces. There are current examples – from the Korean Peninsula to Iran to the flashpoint of Kashmir – that can offer examples of how your ideas might play out. Each committee will be contributing to the overall treaty; the questions and challenges you have been asked to address will build into one treaty.